For pricing and more information on this title, call us at 1-877-394-8826. Discounts may be available to customers that subscribe to both online research and print products. 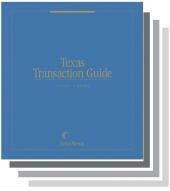 Forms, discussion and expert analysis of transactions issues for your Texas transactions practice. Successfully Represent your Client on any Transactional Issue. • Easy-to-use chapter layout follows the natural sequence of interviewing, advising and acting on behalf of a client. 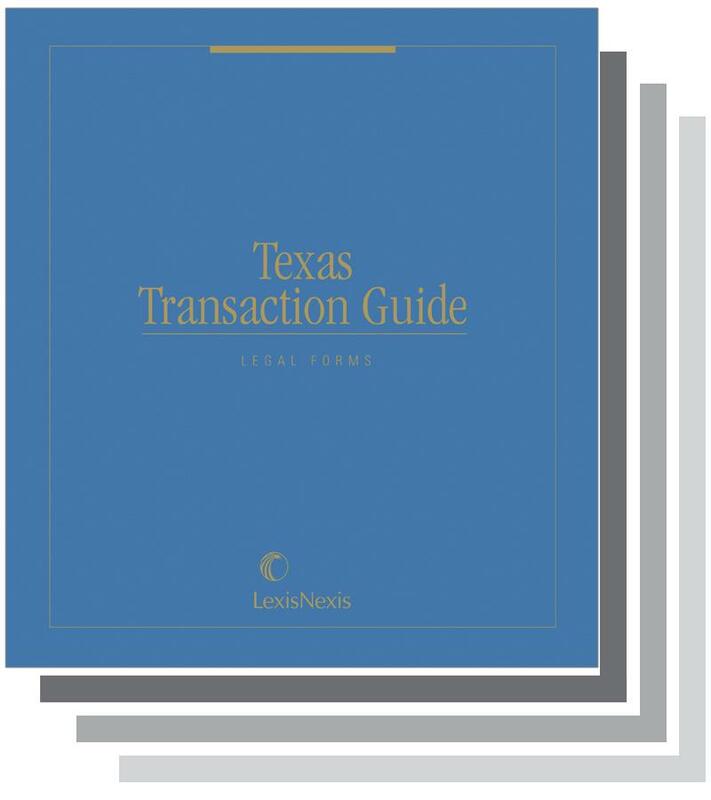 • Detailed explanations of necessary preliminary determinations and legal backgrounds for each transaction. • Comprehensive practice and research guides provide step-by-step guidance for entire transactions and include lists of source materials. • Complete range of forms for each phase of the transaction, with helpful commentary. • Helpful checklists for various stages of the transaction. • Extensive cross-referencing to the research sources used every day. • Unique practice notes give you the best practice tips.